N.A.B.O. was founded with the intent of combining the resources of Basque-American organization to preserve and promote the Basque heritage. We are not a stand-alone organization that accepts individuals as members. 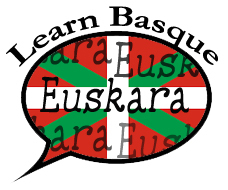 Instead our members are Basque entities or clubs that have formed locally and then joined us. We now count nearly forty entities and we are always looking for more members because that means that Basques are getting together in their own area to form new clubs. A group of Basque-Americans met in Reno, Nevada back in March of 1973 with a questionable proposal, especially considering Basque history. This group hoped to forge a federation and create a network within the larger Basque community of the United States. The Basques had never been united, neither in the Old Country nor in the New World. 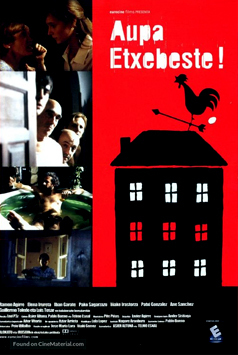 The Basque country, or "Euskal Herria," had never been "Zazpiak-Bat" (the seven provinces are one) representing a unified, self-conscious political community. Euskal Herria most often referred to just the local region. 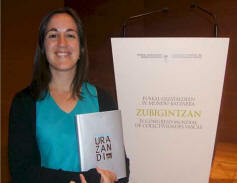 Basques from Bizkaia in the South, for example, had little interaction with Basques in the northern province of Zuberoa. This detachment was reflected in the Basque communities of the United States. Basques of Bizkaia'n descent in parts of Idaho and Nevada interacted little with the Basques of California which were largely northern or "French Basque." When delegates from the Basque clubs of Los Banos and San Francisco, California; Boise and Emmett, Idaho; Elko, Ely and Reno, Nevada; and Ontario, Oregon gathered together, they were well aware that there was little if any communication between the various Basque clubs of the American West. They were attempting to cross the divide--real and imagined--between Basque-Americans, and their venture remained uncertain. Would "French" Basques and "Spanish" Basques join a federation to work together? Would individual clubs set aside competition in an effort to preserve and promote their shared heritage? Seventeen years later, the answer remains a resounding yes! To view an online version of NABO's story as written by Argitxu Camus Etchecopar, click on URAZANDI: NABO (Be patient for the download; it's a big file). The North American Basque Organizations, Inc., commonly referred to by its acronym N.A.B.O., is a service organization to member clubs that does not infringe on the autonomy of each. Its prime purpose is the preservation, protection, and promotion of the historical, cultural, and social interests of Basques in the United States. NABO's function is to sponsor activities and events beyond the scope of the individual clubs, and to promote exchanges between Basque-Americans and the Basque country. The three major efforts by NABO to sponsor inter-club events are the annual handball tournament, the annual "mus" tournament, and a summer music camp for Basque youth (see below). The first regional "pelota" tournament was held in 1976, and in 1981 players representing NABO traveled to Mexico City for the amateur world championships. The mus tournament followed in 1977, and NABO soon hosted the world mus championship in San Francisco (1979) and Las Vegas (1986). The first NABO music camp was held in 1977. That year three camps were held: one in San Francisco, one in Reno, and one in Boise, under the spirited leadership of the late Jon Onatibia. 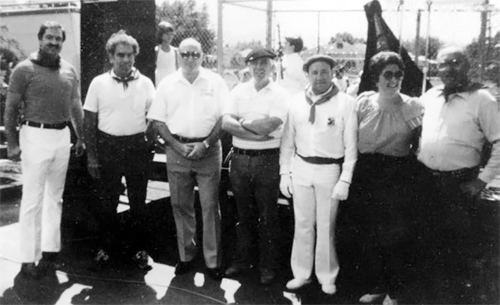 In 1978 the regional camps were combined into one, and the following year Luis Manuel Pe-Menchaca arrived from Europe to teach the "txistu," beginning many years of loyal and dedicated service to the Basques of the United States. The location of these activities rotate from club to club each year. NABO's current attempt to fulfill its purpose is this newsletter which seeks to inform and encourage Basque-Americans to promote and maintain their unique heritage. NABO has also forged a link with the autonomous Basque government which has provided various clubs with educational material, performers from the Basque country to enliven our festivals, and scholarships for studies in Euskadi. 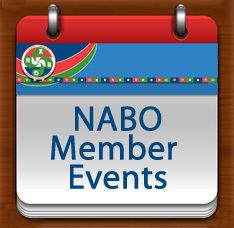 The financial support for NABO activities come from membership dues, fees, various-fundraising events such as the Basque calendars, and donations. Delegates from each club meet three times a year. The annual convention for the election of officers is held during the summer, hosted by one of the clubs to coincide with their festival. The delegates which assembled in Reno long ago, in an attempt to "lotu" or connect the various Basque clubs, could not have been sure of NABO's future. They were well aware that some might resist their efforts, but after seventeen years, NABO has proven itself a success. Most Basque-Americans have set aside their Old World differences of "Spanish" and "French" to work together. The member clubs of NABO have realized that they all share one common purpose--to promote and preserve their unique cultural heritage--and they know that this can best be accomplished with a strong "lotura" (bond) to help one another.